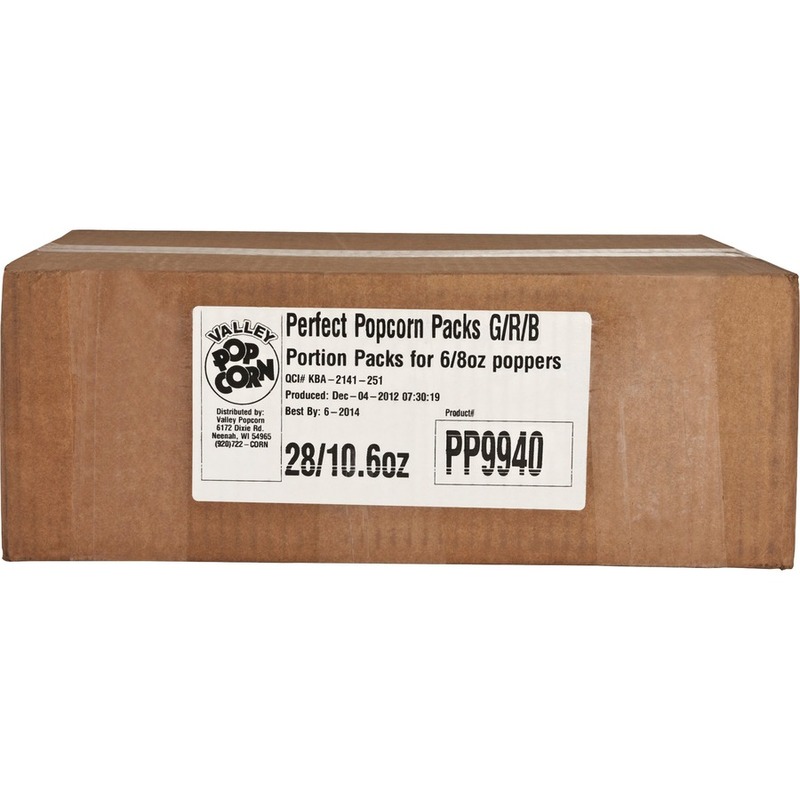 Perfect Packs have the right amount of kernels, oil, and salt for perfect popcorn every time. Single-use, 10.6 oz. packs should be used in 8 oz. poppers to get the same great taste with each batch of popcorn. 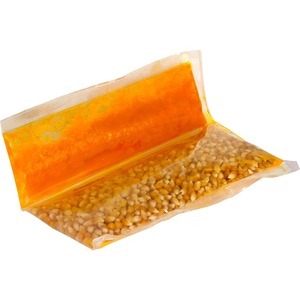 This pack contains large golden kernels, red coconut oil with butter flavoring and butter salt.